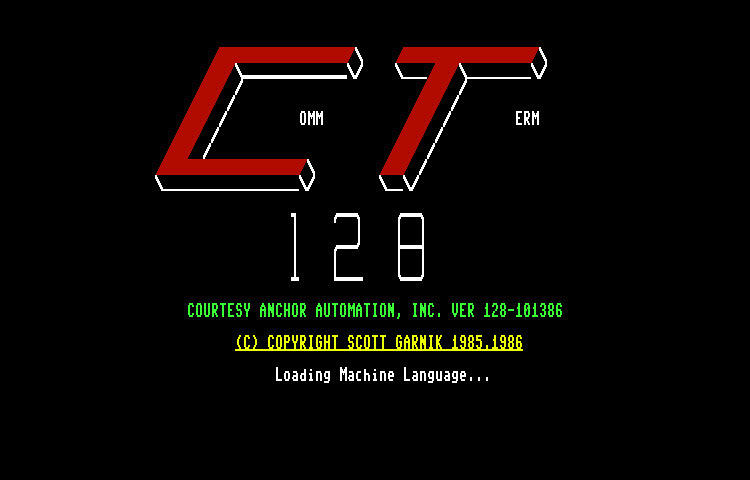 Courtesy Anchor Automation by Scott Harnik 1985,86. This particular version was release 10/13/1986. Nice 80 column term with Punter support and a 57343 byte buffer.